Media giants ABS-CBN expresses its gratitude to its audience by airing a series of special tributes to the Filipino people on TV Patrol, featuring the stories of Filipinos whose values, character, and triumphs have inspired the Kapamilya network through the years. 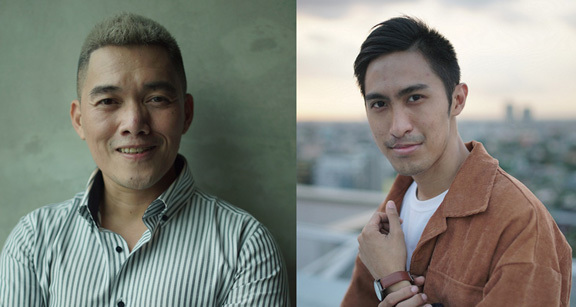 ABS-CBN pays tribute to avid televiewers like Anthony Bendo, who used lessons from teleseryes as inspiration to succeed in school and in his career meanwhile Ryan Canda is an ABS-CBN talent show contestant whose talent and determination to succeed are worthy of emulation. The first of the three initial heartwarming stories premiered on March 27 and was also posted on the ABS-CBN Entertainment YouTube channel, as part of its celebration of 65 years of being in the service of the Filipino. It features Ryan Canda, a talent show contestant who was born with a cleft palate. He had to develop a talent that does not require speech so that he could find his place in a milieu that bullied him. He got into dancing and found the perfect stage to show the world what he got in the World of Dance Philippines. His group from Cebu reached The Cut Round and his story went viral as people were touched by his determination to pursue his dream and prove himself to the world. 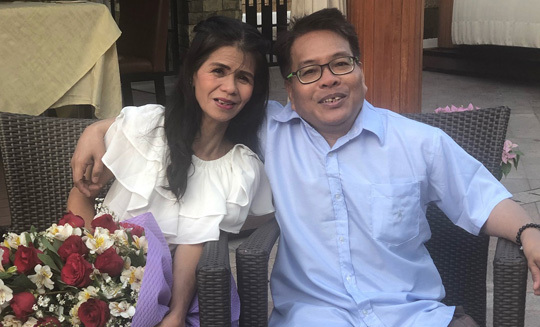 Enrique Vista, meanwhile, is a person with disability (PWD) who is unable to earn enough for the family and could not afford to take his wife Rowena to a nice dinner. He took a chance in joining DZMM’s “Once Upon A Heart” contest. With luck on his side, he was finally able to take his wife to a romantic date as the contest’s winners. Proud “Kapamilya” fan Anthony Bendo also has a touching story to tell. His family became economically-challenged after his father returned home from an overseas job. Helping Anthony stay motivated and inspired to work hard in school and eventually in his career were the drama programs he watched and followed on TV. ABS-CBN introduced television in the Philippines in 1953. In 1967, ABS-CBN’s first chairman Eugenio “Geny” Lopez, Jr. said that ABS-CBN’s motto will forever be “In the Service of the Filipino,” and this has been the “North Star” for all Kapamilya employees since then. Today, it serves the public through free television, digital terrestrial television, radio, cable, music, publications, internet content and services, publications, live events, recreations parks and support for the sports. ABS-CBN’s advocacies and public service programs cover child welfare, relief and rehabilitation operations during calamities, environmental protection, livelihood, health care, among many others. ABS-CBN now serves Filipinos all over the world and is also exporting entertainment content for the non-Filipino audience in Asia, Africa, Europe and South America. Enrique Vista joined a DZMM contest to give his wife Rowena a romantic date. Join the Kapamilya network in paying tribute to the Filipino audience in celebration of its 65th anniversary that will be shown on TV Patrol on ABS-CBN and ABS-CBN HD. The videos will also be available on the ABS-CBN Entertainment YouTube.